Every online brand and business needs a unique selling proposition, plenty of inventory, great customer service and well-designed website. Beyond these must-have elements, your particular niche and audience will determine what other factors are required for long-term success. Nevertheless, there is yet another need that all businesses and brands have in common: quality content. Without this element, search engines and customers alike will be less likely to see you as an authoritative brand within your niche. Whether you’re just starting a blog or you want to get more oomph out of the one you have, here are some must-know tips for running a successful business blog. Content is king in the world of SEO – you absolutely need as much of it as possible. In fact, this may be one of the main reasons you’re starting a business blog. Because of this, it only makes sense to host your blog directly on your website. Unfortunately, some businesses make the website of creating a separate website for their blogs, thereby eliminating the potential gains in search engines that their businesses can make. Ultimately, integrating the blog directly within your existing website (same domain) is a must-do act that’ll ensure you’re pinging URLs to search engines from one location. It can only be expected that you’ll want to promote your products or services occasionally, but understand that blogs are meant to be read. If the content reads like a technical manual or bland product review, then you’re not likely to generate much value from it. Occasionally, be sure to post something that is fun, creative, inspiring or share-worthy – even if it isn’t directly tied in with your business. Ultimately, readers want to read content that makes them laugh, think or feel something. If you can learn to intertwine this with your business and its offerings, then you’ll be able to deliver high-quality content that produces results. Once you’re delivering content on your business blog on a regular basis, you then need to leverage it into something more. Ultimately, social media can be a great medium through which to do so. If you already have a social media following, blog content gives you an opportunity to share updates on platforms like Facebook more frequently – which is absolutely necessary for maintaining a consistent (let alone growing) audience reach. You’ll get more clicks, views and shares this way, helping to further grow your brand’s clout. Through both your blog and social media, you’ll generate various forms of attention. Whether this comes in the form of proactively-offered suggestions or as a result of your own outreach, listen to what readers are saying. They can often provide you with new ideas and angles that you can cover in future blog posts. Chances are if one person is stepping up and recommending an idea, there are many others out there who feel the same. By listening to your audience, you can leverage their ideas into future blog topics that’ll help you grow even more. 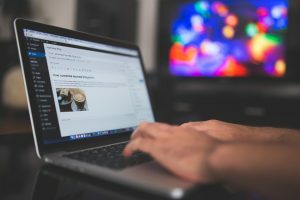 There are many benefits to running a business blog – from pinging URLs to search engines for SEO clout to generating more organic attention for your brand, you should have plenty of motivation to get started. These tips are just the proverbial tip of the iceberg when it comes to what you’ll want to do as a business blogger, but they’ll hopefully get you pointed in the right direction for now. What Should You Consider Before Creating a Video? Black Friday 2013 – 50% discount!